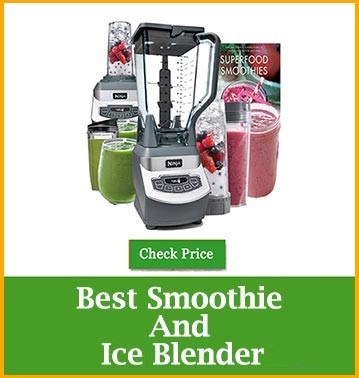 Nutribullet Rx blender Review 2018: Why it is the best nutrition extracting blender? 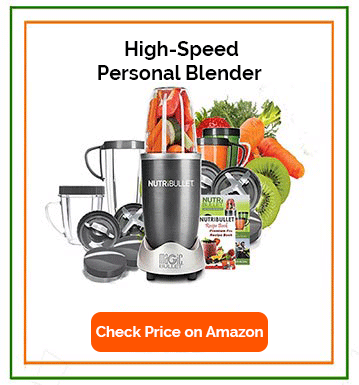 5 Best Nutribullet Blenders-Which Nutribullet is Best? Apples are the second most eaten fruit in the USA. “An apple a day keeps the doctor away” is perhaps the universal phrase you have heard thousands of time. The phrase itself indicates the numerous health benefits of eating apple. You hardly find someone who would dislike an apple as a snack. Smoothie or the whole fruit, no matter how you consume, apples benefit our health both approach. How Eating Apples benefit us? Apples fight Alzheimer and Parkinson as a natural remedy. A study in 2006 shows that quercetin in apples lower cellular death and prevents Alzheimer. Drinking apple juice grows the acetylcholine production in the brain. This organic chemical develops concentration, problem-solving skill and memory. Apples avert the failure of dopamine-producing nerve cells, one of a primary reason for Parkinson. Are you habituated to eat an apple every day? Good news for you. Pectin fiber in apples helps to control cholesterol level. The Florida State University experimented on some older women who ate apples daily for just six months. The study revealed, consuming apples regularly decreased 23% of bad cholesterol (LDL) and grew 4% of good cholesterol. is apple good for diabetes? Controlling blood sugar is crucial for diabetes patient. Research has proved that apples fight against type 2 diabetes. The book ‘Healing Foods’ by DK Publishing has stated that apples contain fructose and antioxidant polyphenols. They improve the metabolic balance and minimize sugar absorption in the body. Do apples whiten your teeth? Biting and chewing an apple whiten teeth your naturally; however, they are not an alternative to toothpaste. Apples hold sufficient water and fiber. Malic acid in apples raises saliva production, reduces tooth decay and lowers bacteria attack. The British Dental Association suggests drinking apple juice during mealtimes. They have proved that apples lessen the risk of tooth corrosion. Doctors highly recommend apple juice for fat burning. Hollywood star Christian Bell cut down tons of weight for acting in The Machinist. He ate only an apple a day and a can of tuna. However, never try this at home. Nutrition experts have stated it unhealthy what he did. Fiber-rich fruits like apples help weight loss. Making a quick full feeling, apples interrupt overeating. Apples boost metabolism and block our body storing additional calories we consume. which fruit juice is good for eyes? Apple juice is good food for eyesight improvement. Apples are natural medication for night blindness. Flavonoid compounds and antioxidant phytonutrients in apples prevent critical conditions like glaucoma, cataracts and macular degeneration. Apples work as a natural stamina booster for athletes. They contain plenty of soluble fiber, vitamins, minerals and iron what are essential for our physical wellness. Besides, they assist our immune system and reaches sufficient oxygen in the lunge. Quercetin in apple builds new mitochondria in our body and expands oxidative capacity. Eating an apple or drinking a cup of apple smoothie before a workout will trigger your instant endurance level. You have to buy fresh apples for getting the full health benefits. Always buy apples those are firm and smell fresh. Avoid which already have creases on their skin. Apples ripen and soften very fast. Better, store them in the crisper drawer of your refrigerator. They contain a compound called ethylene gas, which can ripen other fruits and vegetables. Hence, keep them away from apples. Are you fond of apples? Please comment and share us about the benefits of eating apple. blenderfair.com is a participant in the Amazon Associates Program which is designed to earn through advertising by linking to amazon.com.